Shopping for a new prebuilt gaming PC can be extremely confusing. In fact, without knowing exactly what you’re looking for it can be really easy to buy a bunk build. Since nobody wants to accidentally rip themselves off, I’m going to give you some quick pointers on how to pick the best prebuilt gaming PC. More often than not, you’ll see 10 different builds all for around the same price and most of them running different hardware. How are you supposed to know which one’s the best and which one you should avoid? Utilizing these few tips will ensure that you’re making the right decision. Knowing what you want in terms of performance is going to make your search A LOT easier. Do you want to game in 1080p? 1440p? 4K? 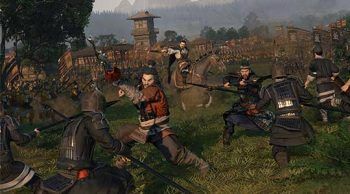 Beyond resolution, what kind of frames per second (fps) were you hoping for? Do you just want to game in 1080p at 60fps? Or, do you want to push it to 1080p 144fps? Maybe 4K at 60fps? I know it can be confusing, maybe even frustrating, but figuring this out is important. Why? Well, if you’re only going to be gaming in 1080p at 60fps, you won’t need the most expensive and powerful desktop. Just the same, if you want to game in 4K then a mid-range desktop simply isn’t going to cut it. Knowing what kind of performance you want will also tell you what kind of price to expect. But, sometimes your budget will dictate the level of performance you can get. For 1080p 60-120fps, expect to spend around $700-$900. 1440p/144fps and 4K will almost always start at $1500+, often running closer to $2000. Keep in mind this is very generalized. You’ll find builds at the $1000 range that aren’t capable of 1080p 60fps just because they’re bad options. 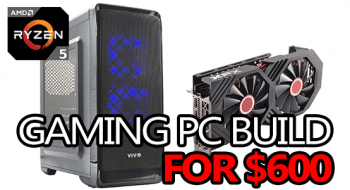 Conversely, you can find builds for closer to $600 that are capable of 1080p 60fps gaming. But, I’d imagine that’s exactly why you’re here – to learn how to find the good options and skip the bad ones! 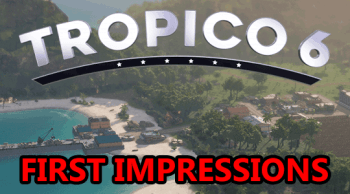 Now that you have a rough idea about what kind of performance you want and how much you should expect to spend on a build at that level, let’s move on. Ideally, you want to be buying the newest hardware possible. There are often huge differences between generations and buying a desktop with older hardware will usually result in spending more (or the same) to get less power. There are 2 main components to take into consideration. The desktop’s processor (CPU), and its graphics card (GPU). You want to make sure both are as new as possible without blowing your budget. To do that, a little bit of Google-fu would be recommended. Currently, the newest generation of CPUs from Intel are their 9000-series, but some 8000-series CPU are still used; like the i5 8400. From AMD, you have the Ryzen 2000-series, like the R3 2200G, R5 2600, and R7 2700. For GPUs, the newest from Intel is their GTX 1000-series and RTX 2000-series. On AMD’s side, you have the Vega VII, Vega 56, Vega 64, and the RX 500-series as the newest and most relevant. So, if you want 1080p 60fps gaming and you’re looking at builds running an AMD R5 2600 CPU paired with an Nvidia GTX 1660 Ti GPU, you’re on the right track. When you’re shopping for prebuilt desktops, it’s not uncommon to see a new-ish processor but a really old (and objectively bad) graphics card, or sometimes vice versa. You’ll see builds like these in the sub-$1000 price range more than anywhere else, especially once you get closer to ~$500. 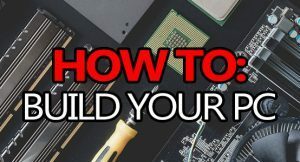 Generally speaking, from $600 and down you can almost always get way more power by building your own desktop vs buying one. An example would be the iBUYPOWER AM010A, not only does it come with an extremely dated FX-series processor, but its GT 710 graphics card is also extremely subpar and couldn’t even be considered a “gaming GPU” back in 2016 when it released. 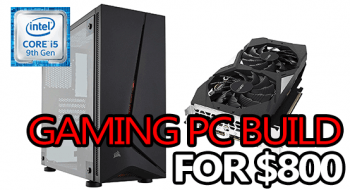 In comparison, a DIY build running JUST an AMD R3 2200G APU paired with 8GB of RAM would outperform iBUYPOWER’s AM010A while costing around $50-$100 less including Windows 10. 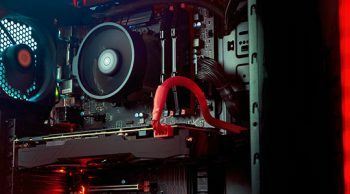 Making sure a build is running the newest hardware possible is the first step to picking out the best prebuilt gaming PC… Or, learning that building is better than buying. Unless you really want to avoid building your own desktop, it would be a good idea to compare prices vs an equally specced DIY build. Most of the time the DIY build will be around $100-$200 cheaper when taking the cost of Windows into account (about $100). 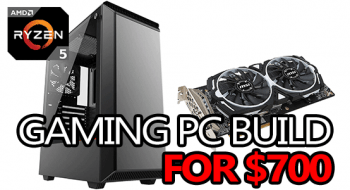 That said, in rare cases, you can find a prebuilt gaming PC that’s cheaper than a comparable DIY build. A good example would be the SkyTech Blaze. It would be almost impossible to build the same desktop (including Windows 10) for the same price SkyTech is able to sell it for. Builds like that are few and far between. It would be extremely easy to find basically the exact same build but for $300 or even $400 more than the SkyTech Blaze costs. That’s what I mean about good vs bad options and why it’s important to know what you’re looking for. Surprisingly, that’s about it. 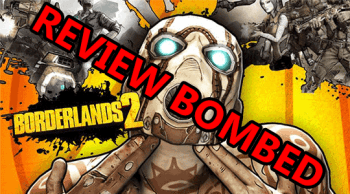 It would also be a good idea to check some reviews after you’ve found a couple of options, but that much should go without saying. If you know what you’re looking for (in terms of performance) and you can identify whether or not a build is running new and worthwhile hardware, you’ll have no problem picking out the best prebuilt gaming PC.